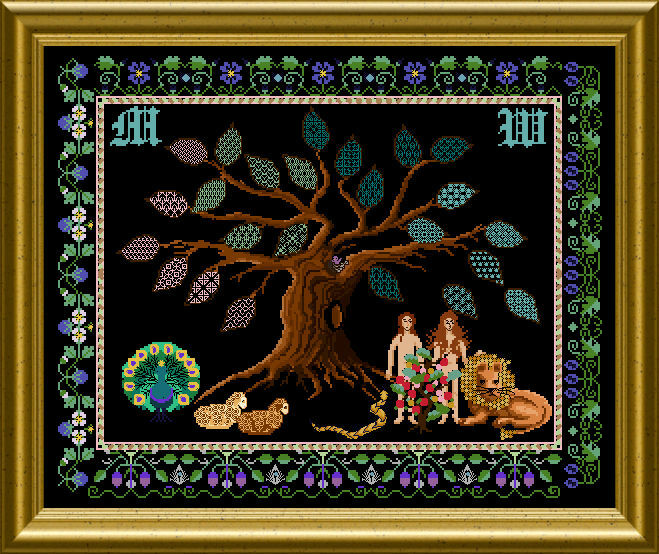 This sampler depicts motives from the bible – the story of Adam & Eve and their dismission from paradise. 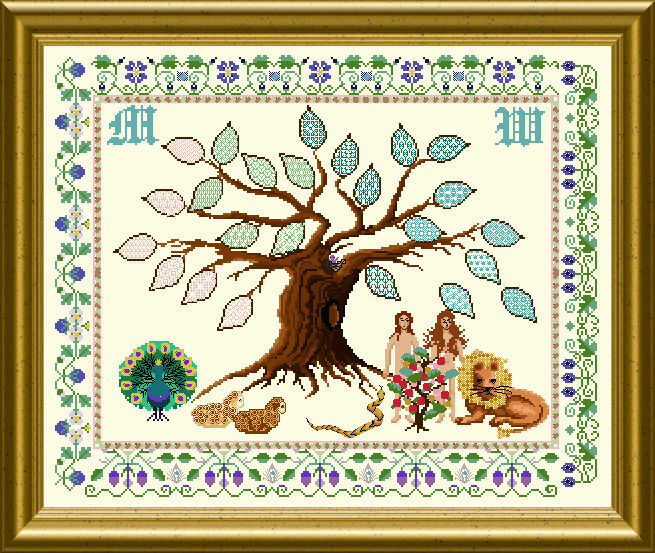 You can really explore Blackwork patterns here together with variegated silk threads – as the tree’s leafs use different patterns and colors. 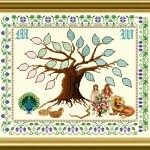 Many Special Stitches are used, beadwork and interesting combinations – together with the provided alphabet you can personalize this sampler and give it your individual touch. The mere design size is 272 x 221 stitches.